Mrs El Habbal is currently Acting Head of the Insurance Control Commission (ICC) where she has been working since 2003 as part of the Financial Compliance Unit, which she headed between 2010 and 2015. 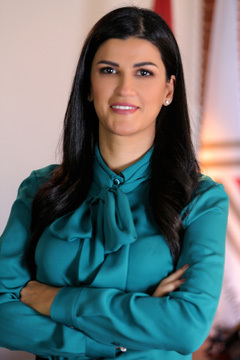 During her career at the ICC, Mrs El Habbal pioneered the prudential reporting of admitted assets to balance the weak solvency regime in Lebanon. She also championed the introduction of the stress testing process on life insurance portfolios, which started in the wake of the financial crisis of 2006 – 2010 and became subsequently a cornerstone in the ICC supervisory process. She implemented a regulatory approach based on prudential reporting forms to score companies performance in the non-life insurance businesses and determine appropriate regulatory actions. In the recent period, Mrs El Habbal engineered a number of reforms and regulations to strengthen the valuation and reporting of insurance liabilities and enhance market conduct practices. She particularly enforced the guaranteed renewability on medical insurance products, and tightened the controls on the motor compulsory line enhancing the market practices. In parallel, she embarked on a thorough programme to strengthen the solvency and governance requirements in line with international best practices, and to introduce a comprehensive framework for the motor third party liability business. Mrs El Habbal is active with the International Association of Insurance Supervisors, and initiated discussions with other regional regulators to establish the base for an effective cooperation between supervisors in the middle-eastern region.